Mixed ready to begin the morning right. Although it’s not exactly pro-spider, I love this poem because you can tell what kind of spider it is. Clearly a dimpled, fat, white crab spider that hangs out on flowers with matching colors! It highlights this great American poet’s amazingly detailed observational skill and oneness with nature and his environment. Or, in another word, awesome! What do you think of this poem and its themes? Does it give you the heebie-jeebies or inspire admiration for the ways of the natural world? 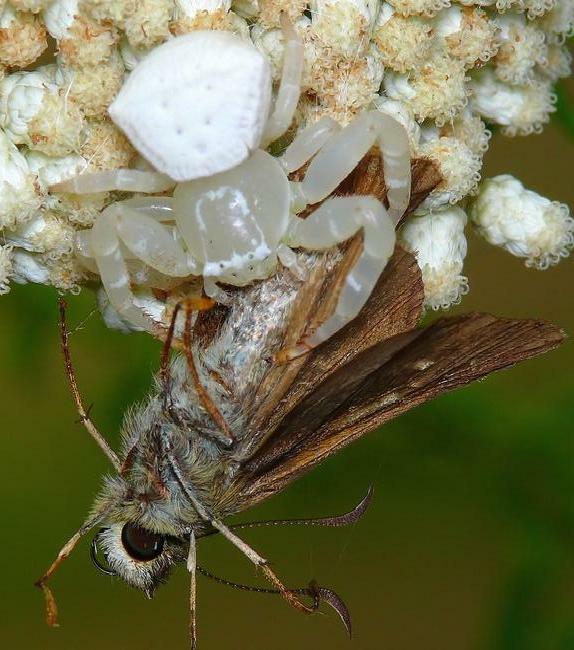 Do you identify with the deceptive spider or the deceived moth? Or with the poet, who seeks a “design” but isn’t sure one can be found? Do you think there’s a design here, or indeed overall designs in nature, or do you think it’s all random and amoral? I’d be very interested in hearing your comments! Also, if you have a favorite poem by Robert Frost, about nature, or both, I’d love to know what it is! The awesome site Big Green Head have a well-thought-out list of 8 Easy Ways to Be Green This Fall. Even though the stores are already rolling out Christmas products, we’re just getting into autumn, and you can use these tips for both fall fun (decorations, Halloween costumes) and chores (raking leaves, preparing fireplaces). Here are a few of my favorites – check out the link above to see the whole list and all its annotations. 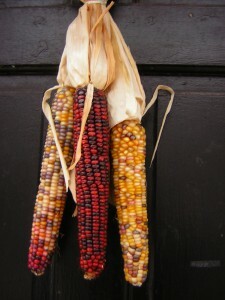 Find your inner Martha Stewart and decorate with gourds, pumpkins, dried corn, leaves and grasses. Till fall leaves into the soil of your gardens…. Mulch the leaves on your lawn with a mulching mower…. Dry leaves make for great composting material…. No one likes taking care of all those leaves but they can be so beneficial to your yard and garden, and I love the idea of a mulching mower. If I had a lawn, I’d want one! Visit a local farm to pick your own pumpkins and apples. 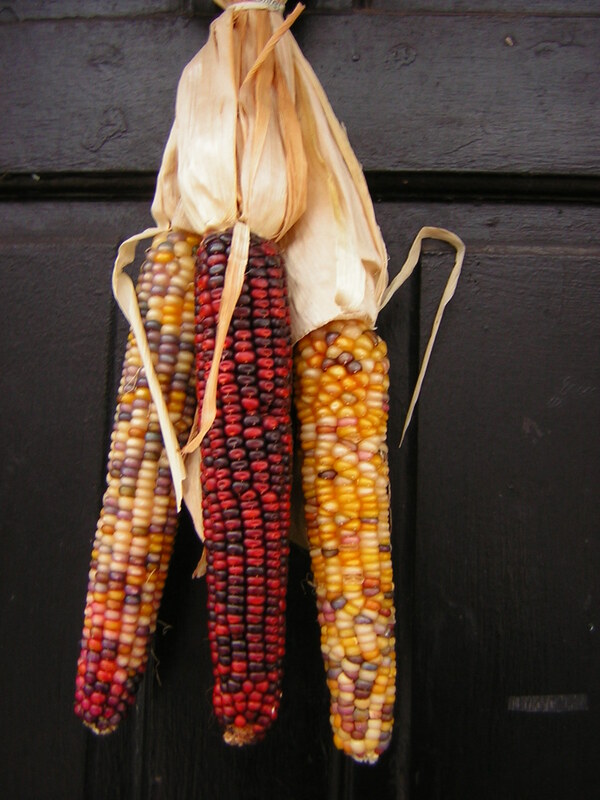 You’re also likely to find homemade cider and kettle corn too! My favorite childhood memories of fall are picking apples with my family in a big orchard every year. Kids of all ages will enjoy it and you’ll get a LOT of apples too! …All of the little cracks and tiny holes can equal the equivalent of about a two-foot hole in the average home. By caulking those spaces now, you’ll cut down on energy use and save money this winter. You can also put film over your windows to reduce heat loss – not pretty, but on a back or upstairs window no one will notice and you’ll be warmer without turning the heat up! I don’t have room for the whole list, so again, be sure to check the link at the top of this post to read all of it. It’s good advice, easy to do, and a lot of it is fun too! For a more philosophical approach to this list, check out the lovely and meditative post Being Green as a Green Witch by Willow at A College Witch’s Experiences. 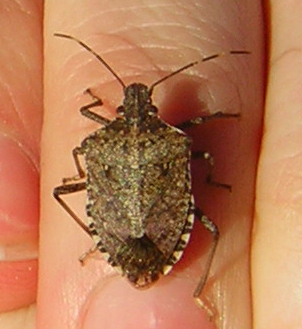 If you live in the East or Midwest, you’ve probably seen the Brown Marmorated Stinkbug (Halyomorpha halys): a shield-shaped brown insect, about an inch (25 mm) long, that’s trying to get into your house this month! I see them in the city just as often as the suburbs and countryside. Today, one of them was ambling up the inside of the plate glass door of my office. Being a nature gal, I just picked it up and tossed it outside; these stinkbugs only stink if they a) feel threatened or b) are squished, crushed, or otherwise die by flattening. If you’d rather not touch them, try removing them on a piece of paper or in a small container. The answer is definitely NOT to swat them! exclude the bugs from entry into structures by repairing worn weatherstripping, mending holes in window screens, and sealing other possible points of entry with silicone caulking and other such materials. After all, if they don’t get in, you don’t have to worry about getting them out And as I said, if you do need to remove them from your house, use a container or a soft touch; squishing is right out. Don’t bother them too much, and they won’t bother you…not more than the average inch-long bug climbing your wall does! There are many things which serves purpose in our lives. Poison ivy isn’t one of them. I wondered about this question from the first time I contracted this horrible affliction nine years ago. 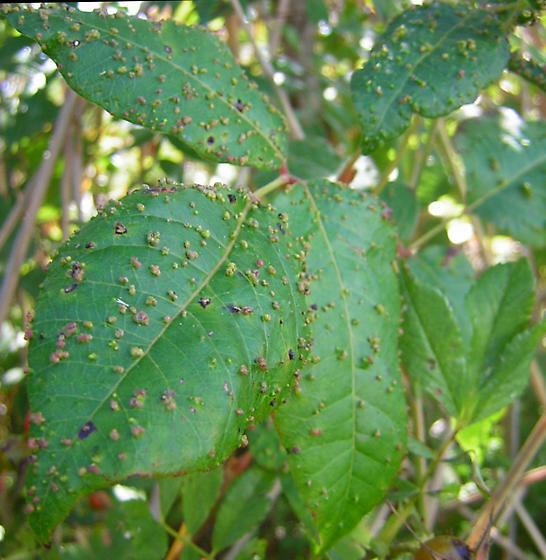 I truly believe at one time poison ivy, oak, and sumac may have served a better purpose, like stuffing it into an enemy’s bedding or mixing it into a potion of sorts. First of all, I would LOVE to stuff some poison ivy in the bedding of some people I know! Second, it did indeed make some potent potions used in botanical remedies – she links to the no-longer-modern but very well-done “A Modern Botanical,” which lists a number of old medical uses for the plant. So there really are a few benefits to humans. But as a nature-lover and birdwatcher married to a botanist, I’ve learned that poison ivy is very beneficial for wildlife! The berries, which remain on the plants all winter, are an important food source for birds and small mammals. Because the leaves are so toxic, the plant can grow tall/wide (depending on if it’s a more viny or tree-like variety) and produce a) lots of berries that aren’t eaten before winter and b) berries that are high above the level of an average snowfall. That is a very satisfying picture, isn’t it? Because although poison ivy does serve several important purposes, it’s still nice to see it getting a rash for once! For prettier pictures and information that will help you identify the plant and its relatives throughout the year, check out “The Poison” by Kimberley at Life with a Possum. While you’re there, enjoy her lovely site design! It’s the second-most-exhilirating birding time of the year, the fall migration. Although the birds are not in the beautiful breeding plumage we see in spring, there are fantastic numbers of them, and the non-breeding and juvenal plumage can be lovely and intricate even if it’s less colorful. Which isn’t to say I’ve confidently identified the fall warblers I’ve seen so far this year: they’re just as frustratingly flitty as in the spring, and their duller colors match the dying leaves they keep disappearing behind. I’m pretty sure I’ve been seeing yellowthroats and pine warblers all week, but I sure wish they’d stand still and let me squint to see if they have any faint distinctive markings! 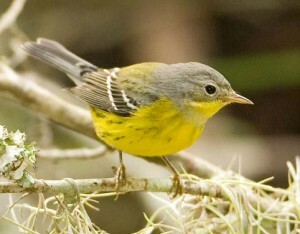 On the other hand, there are a large number of warblers that do not significantly change their plumage in the non-breeding season, and these tend to get lost in the “confusing fall warbler” trope. Immatures and females may still be difficult, but the males may retain breeding-type plumage year round! Female black-throated blue warblers are at least as hard to ID in spring as in fall (look for that white “pocket handkerchief”) but males are always black-throated and blue. To be continued after work today…. Although I should probably dump the water out I think that I’m going to leave it for a while and watch as these insects cycle through the stages of their lives. The opportunity to observe this process is worth a few mosquito bites! What do you think – should they stay or should they go? For my part, dedicated insect-rearer that I am, I would say “stay” – at least till they turn into adults, at which point I would probably whack them! But larvae can’t escape the water, and the photos he took are simply stunning. 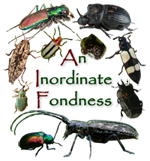 For more photos like that, documenting the life cycle of these unpopular but fascinating insects is, indeed, well worth a few bites. In fact, it may be more valuable than popular life cycles like monarch butterflies – there are thousands of those all over the internet (including my own videos! ), but I have only seen a few mosquito life cycles. Even if you hate mosquitos, isn’t it worth knowing your enemy? My solution would be to put a mesh or screen over the container to prevent adult escapes (and more mosquitos laying more eggs!). The natural climate variations would still apply – day, night, rain, sun, temperature – which is always valuable when trying to get the most “natural” results from captive rearing. Lepidopterists, for instance, will often “sleeve” a caterpillar-filled plant or tree branch with cloth (a pillowcase works!) to protect the ‘pillars from predators while allowing all other natural conditions to be the same. My other suggestion, tongue in cheek, is to find some dragonfly larvae and drop them in the container. That would certainly take care of the mosquitos! Rather a different life cycle to photograph, though…. 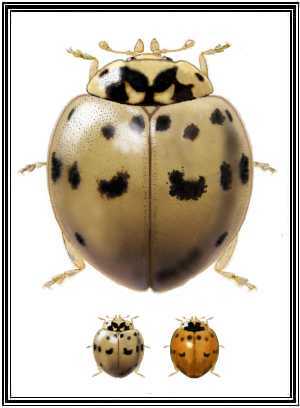 Ashy-Gray Lady Beetles are, as far as I or anyone I’ve encountered knows, arboreal – they like to live in trees. That’s the only place I’ve ever found them, likewise for the entomologists I personally know. That doesn’t mean they are exclusively arboreal, but certainly if you are looking for them, you should look up! They eat tree aphids and possibly the occasional scale insect. Like almost all lady beetles they are a good thing for your yard and garden! The monarch caterpillar whose pupation I filmed last weekend has eclosed (emerged as a butterfly), and is safely winging his way to Mexico! I also filmed the emerging process. It takes quite a while, so there will be several videos showing different stages. 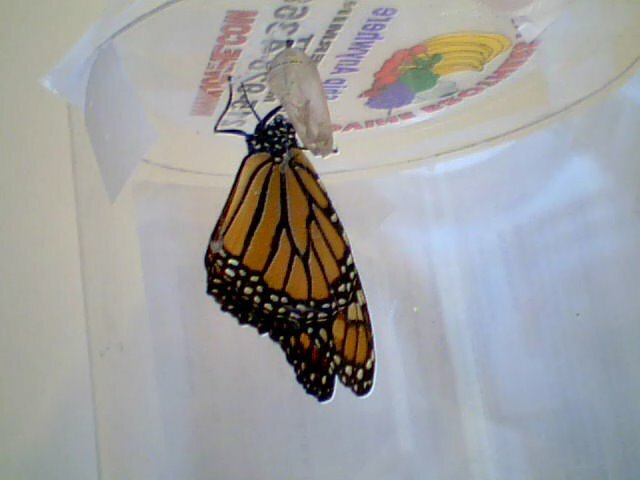 The first video shows the butterfly’s dramatic exit from the chrysalis. He emerges wet, fat-bodied, and tiny-winged, almost unrecognizable as a butterfly!